Our Fab Friday and Super Saturday weekends return to Evolv at the end of April, and as usual, we have a great range of offers and discounts lined up. Allergy testing with our own Deirdre Parle is half price on Saturday, meaning a test will cost you just €25. Booking is essential for this great offer – call (053) 923 6009. Relieve exam stress with the Evolv Solution Pack! We recommend Source of Life Gold Liquid, Nature’s Plus ‘Mega Stress’ Complex capsules, and Bush Flowers ‘Calm & Clear’ essential oil. Buy all three, and get 20% off! Enjoy a Dead Sea Magik facial with Josephine on either Friday or Saturday for just €10. Please call ahead to book – (053) 923 6009. A one-hour hypnotherapy session on the Friday will cost just €45 – that’s a €25 saving on the regular price. Call (053) 923 6009 to book. Get sinus relief quickly! Avail of cupping, steaming, and lymphatic drainage with Janet, all in for just €30. This offer runs on both Friday and Saturday. Please book ahead at (053) 923 6009. Ear Candling is on offer for half price all day long on both Friday and Saturday – that’s just €15! Booking is essential – (053) 923 6009. Enjoy a reflexology treatment at a discount rate on Friday – just €25 for a 40-minute session. Call (053) 923 6009 to book. On Saturday, you have a kinesiology treatment for the same price – €25 for 40 minutes. Again, please call (053) 923 6009 to book ahead. Or have a relaxing 40-minute massage with Janet or either Friday or Saturday, also for just €25. Call (053) 923 6009 to book. Do you suffer from sinus problems and hayfever? If so, we’re coming to the time of year that you dread! Find out about natural reliefs by booking a consultation at (053) 923 6009. Even better – buy three of our recommended products, and get 20% off! Like to learn how to use hemp oil to improve your health? Expert staff from Celtic Winds will be in store on both Friday and Saturday to give 15-minute consultations on using CBD Hemp Oil. Booking is essential – call (053) 923 6009. Iridology sessions will cost just €25 for 30 minutes on Friday, in another great half price offer. Iridology assesses the irises of your eyes to create a unique roadmap for your health. Call (053) 923 6009 to book. Grab yourself a super healthy vegetarian lunch on Friday, as Iwona’s Kitchen returns to the store. You can order ahead by phoning (053) 923 6009, or just drop in. The price is just €10 per person. Have a Tarot Reading on the Saturday for just €30. A reading will take approximately 40 minutes. Call (053) 923 6009 to book. 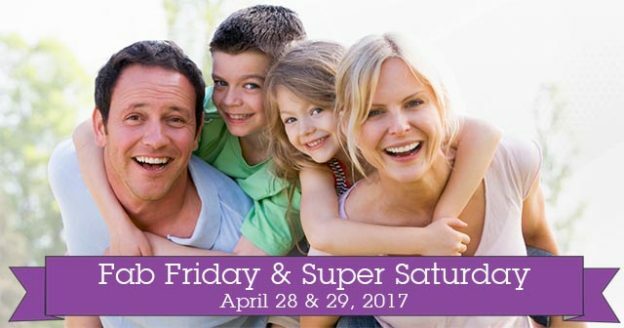 You can see we’ve lots on offer on Fab Friday April 28, and Super Saturday April 29 – so don’t miss out! Call (053) 923 6009 to book your choice of treatment or consultation, or just call in store to pick up our great discounts. We look forward to seeing you!